I am sure that you have probably seen many reviews on this palette so far, but I had to upload one because THIS PALETTE IS THE BEST PALETTE IN MY LIFE. Thank you so much to my boyfriend for getting me this palette! So this palette launched in America and then it came to Beauty Bay, for all of us in the UK who were crying over not having it. It is £37 which to be honest, I didn’t think was that bad. 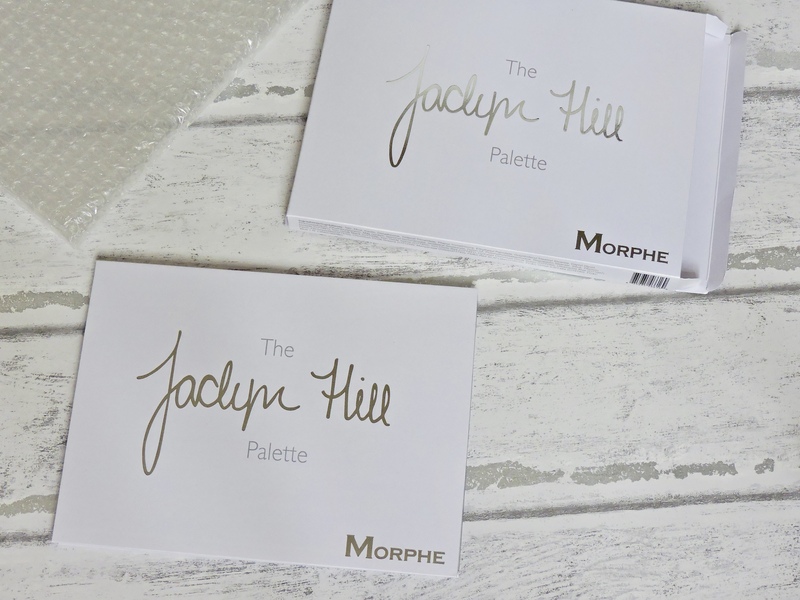 You are getting 35 amazing quality eyeshadows, with a beautiful range of colours and textures and It was also created by a Youtube; Jaclyn Hill.. therefore, it is bound to be more expensive compared to their other palettes. I didn’t mind the price for this palette, I think it is really worth it and I would have got it if my boyfriend hadn’t got it for me. The packaging of the box is identical to the packaging of the palette. Inside the box packaging the palette came wrapped in bubblewrap which made me feel more at ease when opening it. The box packaging was made of cardboard. I do really like the colour being white but also it does get VERY dirty, really easy which doesn’t bother me that much because I can just wipe it. This is what the back of the box looks like. Some people didn’t seem to like, however I think it is quite nice. I like that she is taking directing to her subscribers and basically saying that without them she wouldn’t have created it etc.. This is the inside look of the palette and can I just say, I waited a whole day to take pictures before using any of these colours!!! that is dedication!! 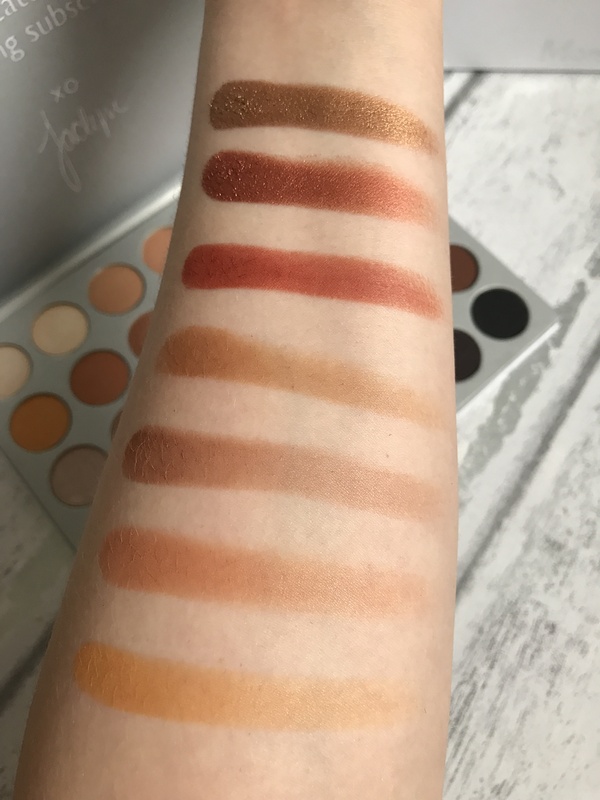 I love the whole colour selection, I absolutely love warm tones so this palette for me is my ultimate dream. There are a couple of cool tones in this palette, but the majority of the colours are warm tones. I like the mix between mattes, shimmers and glitters. I think there is a good selection of all types of shadow. There are a couple of colours in this palette that I am going to have to push myself to use such as the purple, blue and couple of greens. I did create a look using the blue and purple and I absolutely loved it. I like that this palette does have a pop of colour here and there as it pushes you to challenge yourself with eye looks. There are a couple of things that I would change about this palette if I could. 1) the first two colours are a cream highlighter colour and they are basically identical so I would have changed one of these to a matte shade, there isn’t a white/cream shade that you can use all over the lid. 2) it would have been nice to have a mirror inside the palette, otherwise you have to carry around a separate mirror. 3) I would have loved it if the names of the colours were on the palette, i think this is an essential in a palette to be honest. I do have a name card here, if you want to print it out and stick it to your palette. Top row- Enlight, Beam, Silk Creme, M.F.E.O, Faint, Sissy and Little Lady. Second row- Creamsicle, Butter, Pooter, Pukey, Hunts, Firework, and Queen. 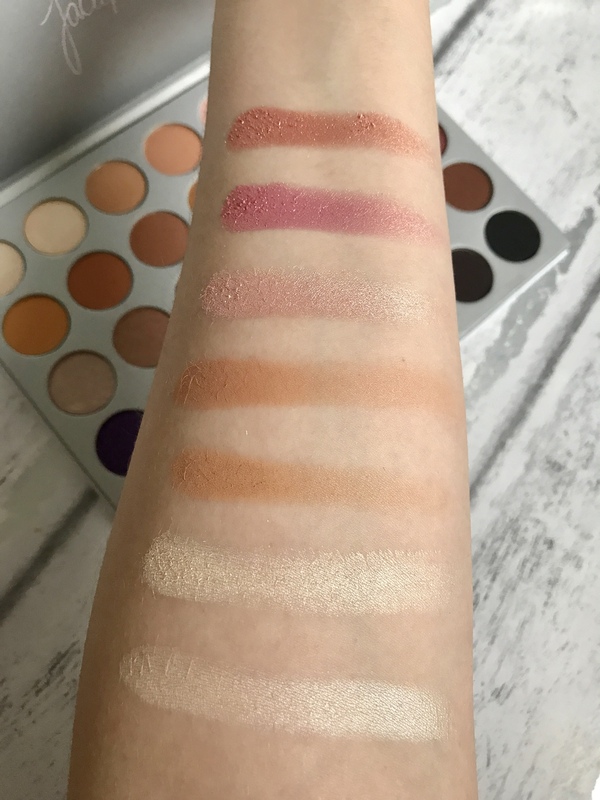 All of the shades in this palette are really creamy and they all blend amazing. The glitters aren’t chunky at all and don’t really have any fall out which is good, although I don’t mind fall out at all. You don’t really need to use glitter glue or concealer on your eyes before putting the glitters on as they are bold and pigmented without it. They feel wet when you touch them with your fingers and they are all so stunning. The mattes are also really pigmented, they aren’t chalky which I really love. They blend really well and you get a lot of product from just one swipe. There are so many mattes in this palette for you to just create a matte eye look. There are a mixture of shimmers, glitters and matte in this row. The third and fourth colours are what I will use all over my lid before starting the look. It would have been nice if the first or second shade was a matte, although these are stunning brow/inner corner shades. These colours are the lightest colours in the palette, they are stunning! This second row of colours and the third row are like the autumnal rows for me. They are packed with reds, golds and browns and this row for me is literally everything! This row mostly has mattes in it with a couple of glitter shades, with the glitters I really love that they aren’t chunky glitter, they feel wet when you touch them. This row has a mixture of mattes and glitters and these mattes are what I have been reaching for the most at the moment. These are such christmasy/autumnal colours. The first two glitters are really christmasy, I can’t wait to create some lovely Christmas eyeshadow looks with these. The next two rows are the more cool toned and adventurous. These rows have some pop of colour. This row has a stunning purple and a lovely royal blue shade. These are lovely colours and when I first opened/saw the palette my eyes were drawn to these colours, but I also thought how am I ever going to use these colours. I did create a look with both of these colours and it was gorgeous. There are two mattes in this row and I use these mattes quite a lot. This row really reminds me of a mermaid. 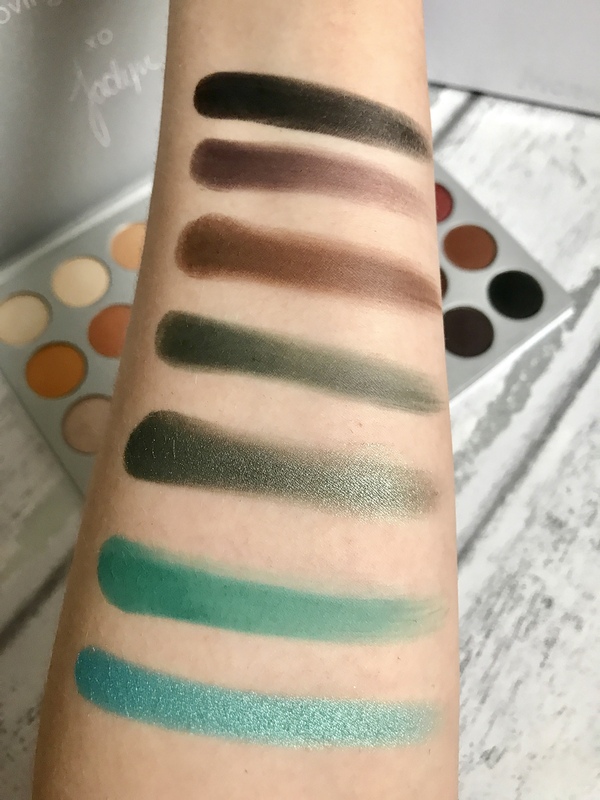 I absolutely loved the pops of colour in this row, and I am actually so happy that Jaclyn included darker green shades because I have never used these colours on my eyes before and I really wanted to use them on my eyes. all of the colours are sooo pigmented and a little bit of eyeshadow goes along way. This is the most cool toned the palette gets, I’m happy there are a couple of cool tones in there. I am so glad that there is a black in this palette because I think for any palette it is essential, which is why I wished there was a white matte shade on the top row. I think this palette is 10000% worth the money, and I would advise everyone who wants the palette to get it as it is a life changer. This palette for me as been probably the best palette on the market in years. There is everything you need in one palette. 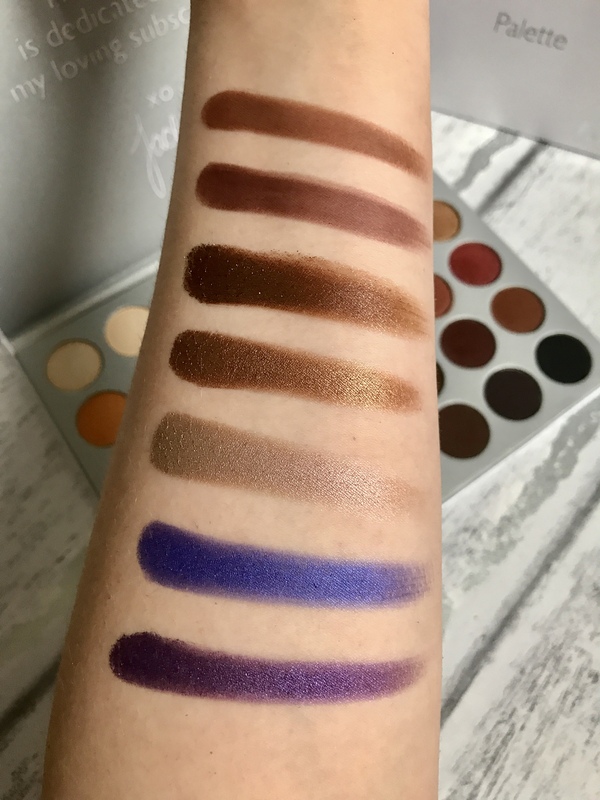 You can tell that the eyeshadows are AMAZING QUALITY, I can’t stress that enough, they are all so creamy and consistent that it is actually crazy. 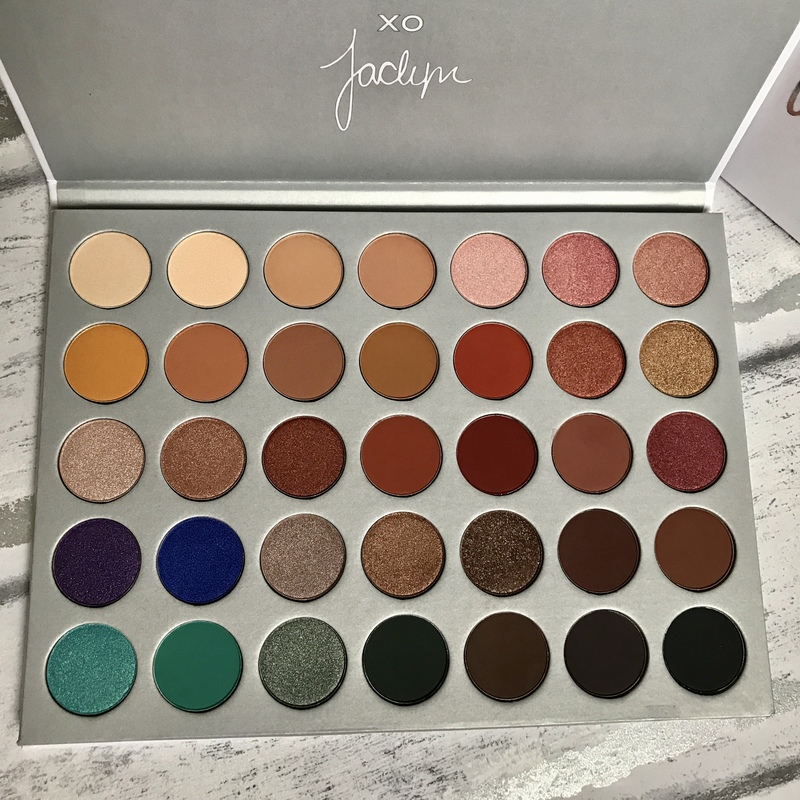 I can tell that Jaclyn put a lot of thought and effort into this palette and it has really paid off. What are your thoughts on this palette? Do you have this palette? Jesus bloody christ I need this in my life so much !! What an absolutely STUNNING palette and I love the white packaging but I would be exactly the same about wanting to keep it 100% pristine haha. 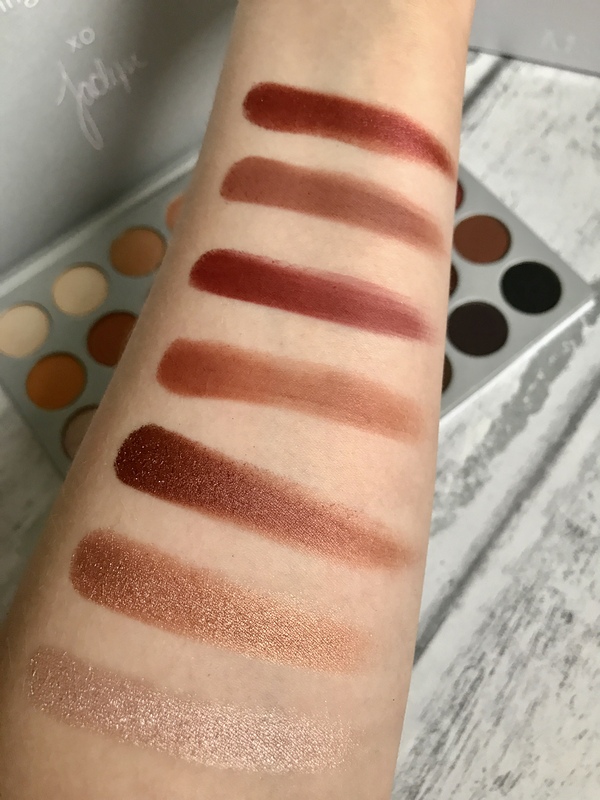 I really can’t decide on a favourite shade or even a favourite row it’s all just bloody gorgeous, I really really hope I get this for Christmas! I can’t wait to see some looks you do with it! I definitely do not need to buy any more eyeshadow but those greens are stunning! I got a dupe version of this, but I think I’m going to have to get the real deal. It’s so stunning! This palette, omg! The colours in this are gorgeous! 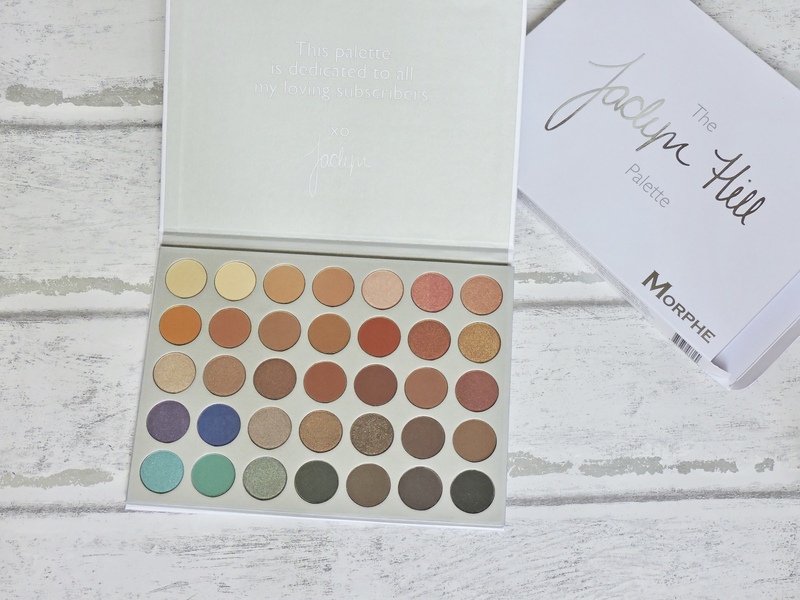 I’m definitely going to be looking into getting this palette in the future, it has so many great colours that I would love to try out! I am pretty jealous haha! Yes, I hope you get it. I would love for you to love this palette as much as I do. there is so much to do with it. I have had this for about a month now, maybe longer and I still haven’t used all of the colours. Aw, I hope you do! I would LOVE to be able to put a palette to good use – but I’ve got little eye lids and so am terrible with eye shadow, oops. This one looks so good too!! literally same!!! that was all that I saw on my Instagram feed, everyone went crazy for it. It is honestly so stunning, I think she did an incredible job. I know what you mean, I felt like that with some of the shades but I started using them and I feel so much better for it. Just I feel more adventurous and its great! I. Need. This. Palette. Your photos are stunning 😍 I also love the way you reviewed this in so much detail! I’m putting this on my Christmas list as I don’t think I can go without it! Can’t wait to see any looks you create with this! This is the palette of dreams! 😍 I really need to get my hands on this! You do, I hope you do!! OMG those shades!!!! I love the shimmers so much and they’re so pigmented!